To develop and prepare a new generation of leaders by providing leadership development, scholarships, resources, opportunities, and advocacy to students in our community. 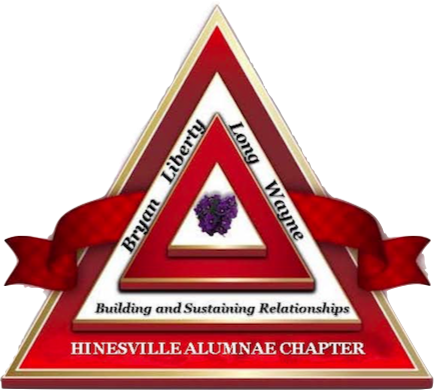 To provide financial assistance to outstanding male and female high school seniors in our service areas (Liberty, Long, Bryan, and Wayne counties). 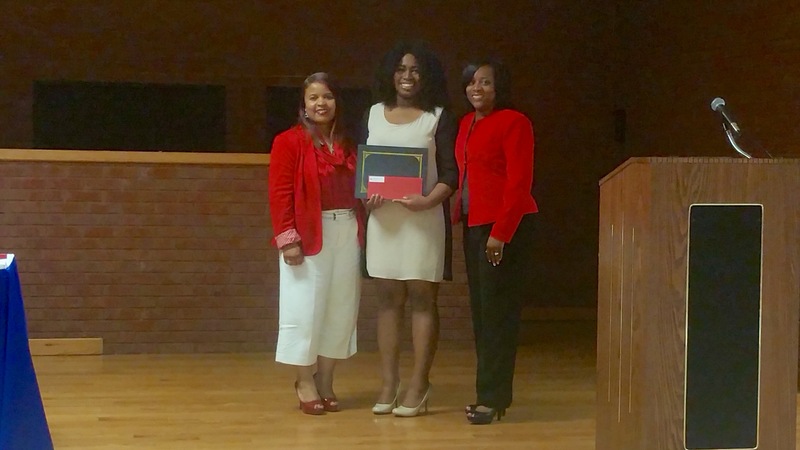 In addition to excelling in the classroom, these individuals show leadership potential in the community and exemplify the values of volunteerism and service. 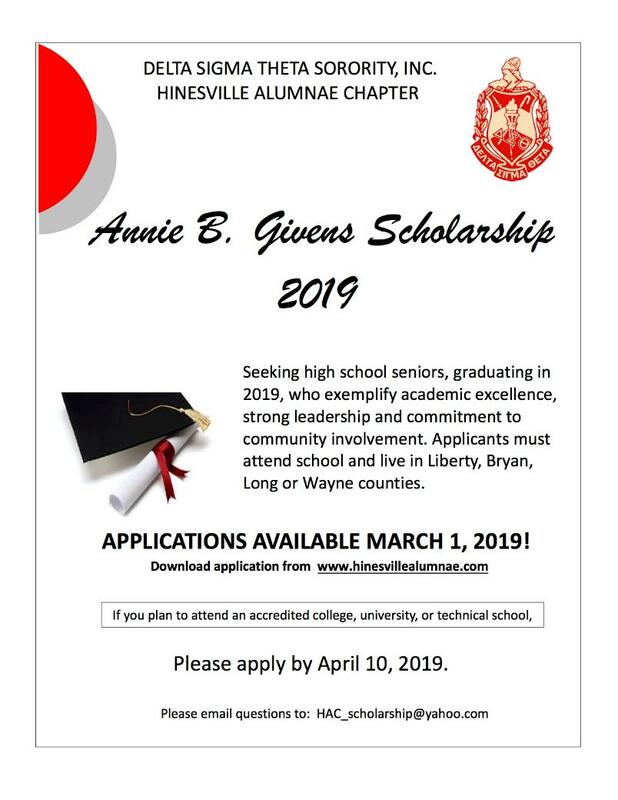 The Hinesville Alumnae Chapter renamed our scholarship program to Annie B. Givens Scholarship after the late Annie B. Givens, a Soror and Charter member of this chapter in 2010. Soror Givens earned a bachelor's degree in 1938 and a master's degree in 1964 from Hampton Institute (now University) in Hampton, VA. Soror Givens taught public schools in Waverly and Norfolk, VA, Chatham County and Liberty County. She retired in 1977 from Bradwell Institute after becoming the first Black faculty member in 1966.